To truly be successful, companies and organizations must manage their projects, issues, risks, and changes proactively. This means moving beyond email, spreadsheets, and conference calls and adopting project management tools and software that aid in project initiation, planning, and execution. These project management tools and software solutions must give visibility into all stages of the project and include all of the necessary functions for businesses to easily monitor their projects each and every day. For cloud-based project and task management, Smartsheet is a solution that offers a combination of online project management and CRM. Track projects, task lists, and other work in Smartsheet while linking Smartsheet projects to key Salesforce customer records. WORK[etc] is a Salesforce project management tool that integrates CRM, project management, billing, HelpDesk, and more into a cloud platform. With WORK[etc], teams collaborate and track projects efficiently. Also available in the AppExchange and used by more than 500 Salesforce customers, TaskRay makes it possible for teams to quickly track, manage, and communicate. A shared to-do list with drag-and-drop features, TaskRay easily integrates with your existing Salesforce data. Mavenlink is a software solution for integrated business and project management. For project and team collaboration, Mavenlink eliminates the hassle of silos and puts communication into one cohesive place. Mavenlink’s Salesforce integration is the icing on the cake. 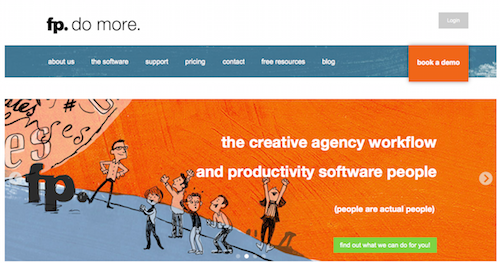 Wrike offers advanced project management and collaboration tools for enterprise and small to medium businesses. With Wrike’s Salesforce integration, collaboration between teams is easy and productive. Clarizen is the Salesforce project management tool that brings social collaboration to powerful project management. Through Clarizen’s Salesforce integration, Salesforce users have the ability to create and view the progress of projects, milestones, and issues directly from Salesforce.com. Formerly AtTask, Workfront is an enterprise work management solution that improves productivity, collaboration, and visibility and brings more to the table than a typical project management tool. Workfront provides a centralized solution that unifies team processes and communication, helping team members to work more efficiently and creatively. 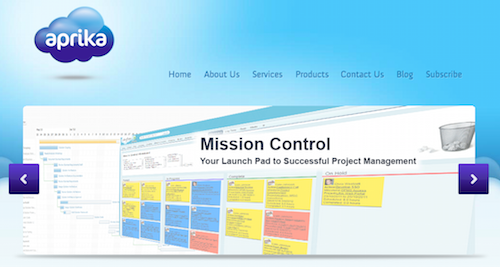 Mission Control, a cloud-based project management system, operates on the Force.com platform and integrates with several editions of Salesforce. Effectively manage your organization’s projects with all of Aprika Mission Control’s features, including Gantt charts, document management, and more. VeoProject is an advanced web-based project management and collaboration tool that integrates with Salesforce and helps users organize tasks, issues, messages, and shared files. VeoProject also connects projects to Twitter and Google apps. The leading project and portfolio management (PPM) application available on the AppExchange, DreamTeam stores all project data in your Salesforce account. DreamTeam offers project and document management, resource management, collaborative calendars, time and expense reports, portfolio reporting, and project workflow. With Central Desktop, teams have control over their projects, even if they are on different continents or in different time zones. “A complete, enterprise-sized collaboration platform,” Central Desktop is a dream come true for organizations looking for a way to share files, launch meetings online, or manage projects in one integrated system. LiquidPlanner is an online project management software solution that is flexible and easy to use. LiquidPlanner’s Salesforce integration connects sales and project teams, allowing them to stay up to date on project status and their customers’ needs. With Viewpath, you get powerful online project management and collaboration with anyone from any organization. Utilize the collaborative, real-time tools and features with this cloud-based solution and rest easily knowing team members are on the same page. Striving to help teams become more efficient, Taskfeed gets users organized in Salesforce. “A modern and lightweight project management tool that everyone can use,” Taskfeed allows users to plan and collaborate as a team. With XenonPMO, organizations get an easy-to-use project management solution that promotes best practices. One of the most configurable Salesforce project management tools, XenonPMO was built with the needs of project, program, and portfolio managers in mind. Track projects simply with JobSuite and enjoy the convenience of its intuitive interface, full line of features, and web-based system. Join some of the largest Fortune 500 companies as a JobSuite customer and start managing projects with this Salesforce project management tool. For organizations that need native project management or advanced project management, Passage Technology’s Milestones PM+ is a smart choice. 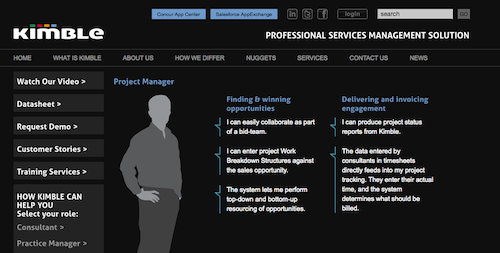 Organizations get the flexibility of a customizable project management solution that provides a free core package and options for paid professional services when they choose Milestones PM+. Avata Technologies, designed especially for product development teams, empowers everyone from product developers to marketers to collaborate throughout planning and executing new product releases. 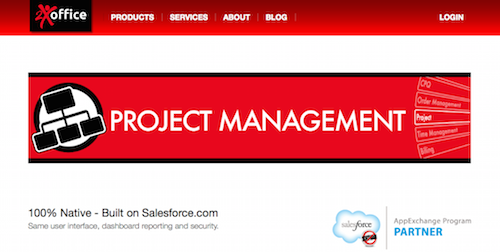 Avata’s Project Management solution fosters efficiency and productivity as a Salesforce project management tool. A cloud-based project management and collaboration platform, EPMLive helps organizations plan, track, and manage all of their work. EPMLive’s Salesforce app integrates the CRM capabilities of Salesforce with EPM’s project and work management software, allowing for true reporting and maximum efficiency. From Configero, Project Pulse is an enterprise-scale application that “optimizes resource utilization and revenue management, delivering a birds-eye view of the complete project lifecycle, from sales to delivery to finance.” Organizations choose Project Pulse when they want to keep everyone, from sales to delivery to finance, up to date on the project. With Celoxis, organizations get enterprise project management software to manage complex project portfolios and processes. Plan, delegate, collaborate, and streamline project management with Celoxis. Project Management Beacon for Salesforce enables organizations to effectively manage projects for all cases or just selected cases. Available on the AppExchange, Project Management Beacon is easy enough for anyone to use, yet comprehensive enough for collaboration. With the Tenrox Project Workforce Management – Project Management Module, your organization is able to keep project teams, resource managers, and executives on the same page at the same time with all projects. The Tenrox Project Management module has three key components: Project Planning, Project Workflows, and Process Management. 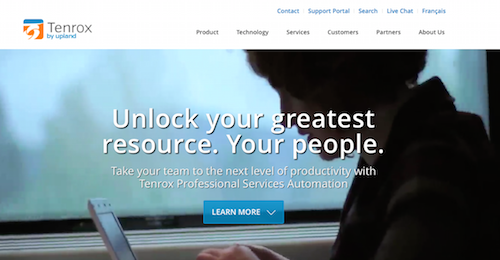 Better yet, Salesforce users can tap into Tenrox’s cloud-based project management software and simplify, automate, and streamline project and service delivery with Tenrox PSA on the AppExchange. Organizations that choose Work-Relay for their Salesforce project management tool actually get a process, project, and resource management solution all in one. 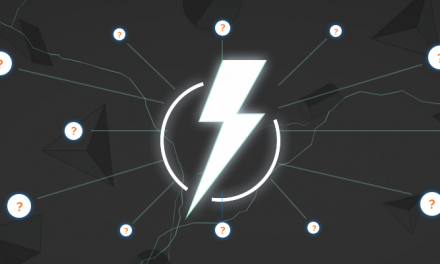 Best suited for companies that run complex business processes with large-scale, process-driven projects and short-duration, high-intensity projects, Work-Relay is a 100% native Salesforce application. 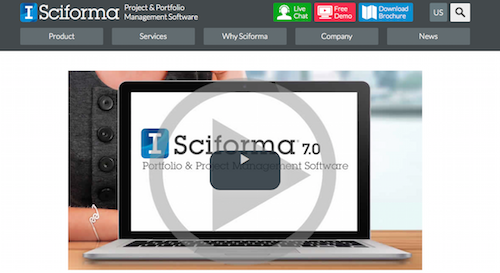 Sciforma is flexible, easy to use multi-platform project management software that is customizable. With a plug-in for Salesforce integration, Sciforma helps businesses manage multiple projects from multiple clients and prioritize efforts to optimize company results. A 100% cloud-based integration, the Replicon CRM Connector for Salesforce provides greater pipeline visibility from Salesforce within Replicon. With Replicion, sales teams enable their services teams to schedule resources and plan projects more effectively while delivering accurate project cost estimates to sales teams and prospects. Specializing in enterprise-class project management and productivity software, Cloud Coach is built for businesses looking to invest in their success. Cloud Coach’s comprehensive tools and Salesforce integration are a match for organizations looking for project management, internal meeting efficiency, and more. 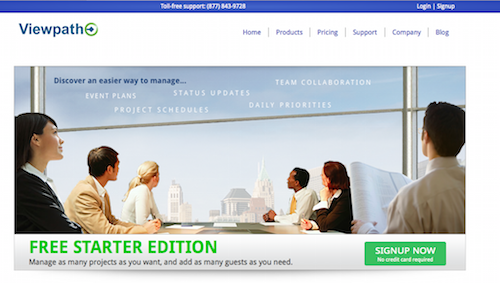 Help your team adopt project management software more easily with 2Xoffice Project. With the same user interface, dashboard reporting, and security that Salesforce users are accustomed to, 2Xoffice Project is 100% native to Salesforce and makes implementation a snap. Genius Project offers a variety of project management solutions, from SaaS, to hosted, to Lotus Notes based, that are designed to get your organization working more productively. 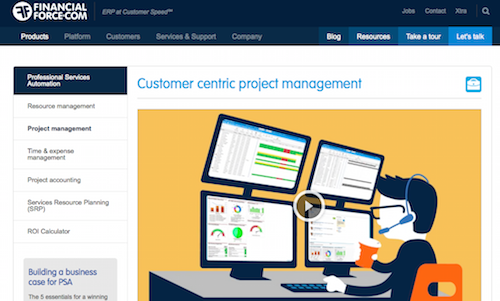 With Genius Project, companies get enterprise project management software that is tailored to their needs and quickly integrates with Salesforce. A project management platform, AffinityLive offers easy, yet powerful project management. Get collaboration, reporting, and project insight on any device, plus seamless integration with Salesforce when you adopt AffinityLive as your project management solution. Designed specifically for advertising and creative agencies, Function Point is an easily used, all-in-one, cloud-based productivity system that allows teams to do more. Function Point also works for internal marketing departments that want to streamline their business and work more efficiently, especially those that currently use Salesforce and want to integrate Function Point quickly and easily. An on-demand project portfolio management solution, Daptiv is a global leader of project portfolio management solutions and was recognized as a leader in the Gartner 2014 Magic Quadrant for Cloud-Based IT Project and Portfolio Management Services. Daptiv improves strategic planning and business execution with its solutions and professional services; plus, companies turn to Daptiv to improve productivity and efficiency. As the number one cloud ERP solution on Salesforce, Financial Force provides financial management, professional services automation, human capital management, and supply chain management. What sets Financial Force apart from other project management tools and software is that it puts the customer at the center of project management so that teams collaborate and work more efficiently to provide more value to clients. With Professional Services Automation software from Projector PSA, organizations track time and expenses, plus manage projects and schedule resources more easily. With the Project Management Module from Projector, companies are able to plan, track, and deliver projects on time and on budget. Integrating Projector with Salesforce couldn’t be any easier with its Salesforce.com Pre-Built Connector. Designed by industry experts, Kimble is comprehensive enough to manage an entire professional services business but is easy enough for nearly anyone in the organization to begin using. Kimble provides holistic management by integrating sales, operations, and delivery elements while reducing process complexity and boosting efficiency. 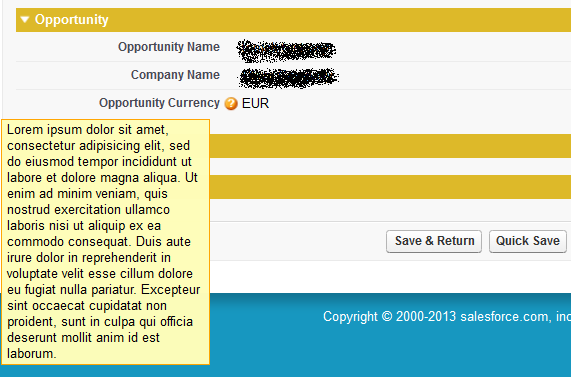 Available on the AppExchange, Kimble is highly configurable. With GreenRope’s integrated project manager, teams accomplish more and remain organized. Coordinate sales, support, operations, and clients with GreenRope, plus simply use email addresses to keep everyone up to date with specific projects. Improve team performance and collaboration while saving time and money with Leankor,’s visual project management solution. Get everyone on the same page by providing them with the same picture of work. Get the most out of Salesforce by tracking projects with Smarttime, available on the AppExchange. Access all of your metrics at once with the simple dashboard and stay on top of your budgets with the built-in reports. 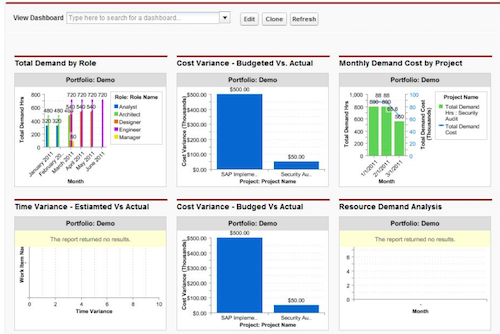 An integrated suite of Project Portfolio Management, resource management, management reporting, and collaboration application, EnTransform PPM includes role-based access to best practices. Available on the AppExchange, EnTransform PPM is a native to Salesforce project management tool that is easy to use and fosters collaboration. 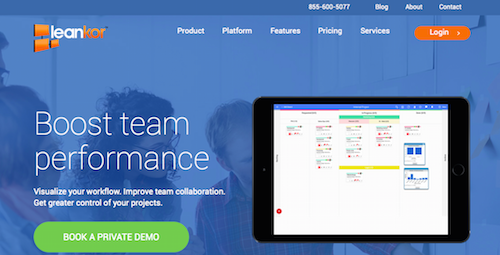 Help your team stay on top of projects with one click in OneEighth Project Lite. This project management tool, available on the AppExchange, helps users quickly start and stay up to date with projects of any type. Ajile provides complete agile project management in the cloud with its app available in the Salesforce Cloud. With a powerful platform to manage projects developed with Scrum methodology, Ajile helps project teams work in collaboration. Project portfolio management, application portfolio management, and financial portfolio management from Cloudbyz results in visibility into entire project portfolios for more appropriate and informed business decisions. Available on the AppExchange, Cloudbyz is an integrated solution built on the Salesforce 1 platform. The CloudMax software platform allows users to configure it for flexibility and ensures team collaboration. With CloudMax on the AppExchange, users adopt the rapid deployment model and handle change management quickly and easily. Done by Kinetic Growth offers Salesforce task and activity management with collaboration features. 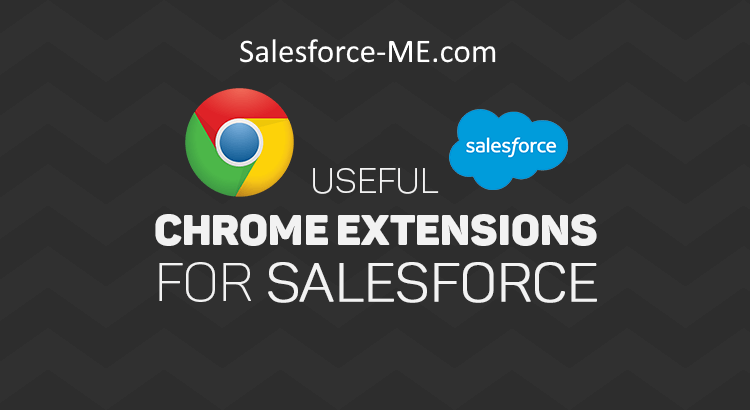 The tasks tab allows users to see, edit, and track all Salesforce tasks in detail. Manage budgets, costs, schedules, and dependences between projects with GliderPMO. This online project management tool helps project, portfolio, and program management offices (PMOs) and their stakeholders to easily and efficiently handle all of these tasks. PMActive seeks to simplify project management for project managers and teams by providing the tools necessary for supporting the entire project lifecycle. Deployed on Force.com, PMActive is a great project management solution that does not include any hardware or software costs because it is cloud based. With Intuit QuickBase, organizations can solve their business problems quickly with Project Management solutions. 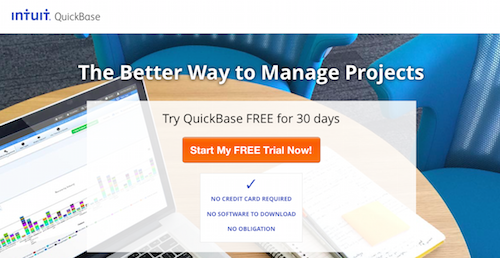 Teams work more productively and quickly from any location with QuickBase, and they can integrate QuickBase with Salesforce quickly and easily. A Salesforce strategic partner, Arxxus helps organizations handle their services and program schedules with their native project management app. Manage all of your pojects from within Salesforce with Arxxus. Axosoft is a solution for agile project management that helps users effectively manage their software development projects. With Salesforce integration, Axosoft has the tools and support your company needs to manage projects efficiently and effectively. 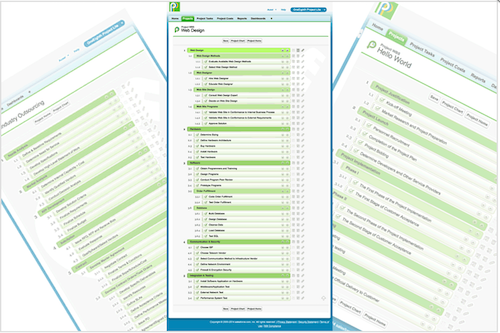 ChangePoint’s Project Portfoliio Management software enables businesses “to have an informed understanding of their environment and resources and in turn they can communicate this, and any subsequent decisions, to stakeholders.” With ChangePoint, organizations get a single solution that addresses the project lifecycle and ensure portfolio visibility. 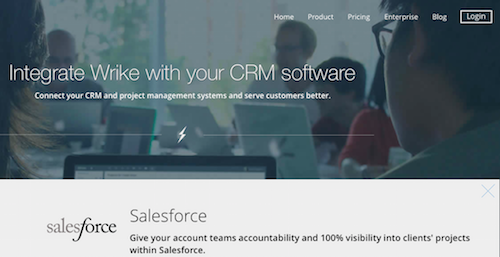 Changepoint’s Salesforce.com CRM adaptor connects PSA and CRM, making it an even better solution.